Quickly and easily convert a compact refrigerator or chest freezer into an impressive home brew beer dispenser just in time for your next barbecue or pool party with Kegco's Ultimate Homebrew Tower Kegerator Conversion Kit! It features a 3" diameter stainless steel draft tower that makes it perfect for use in outdoor environments. 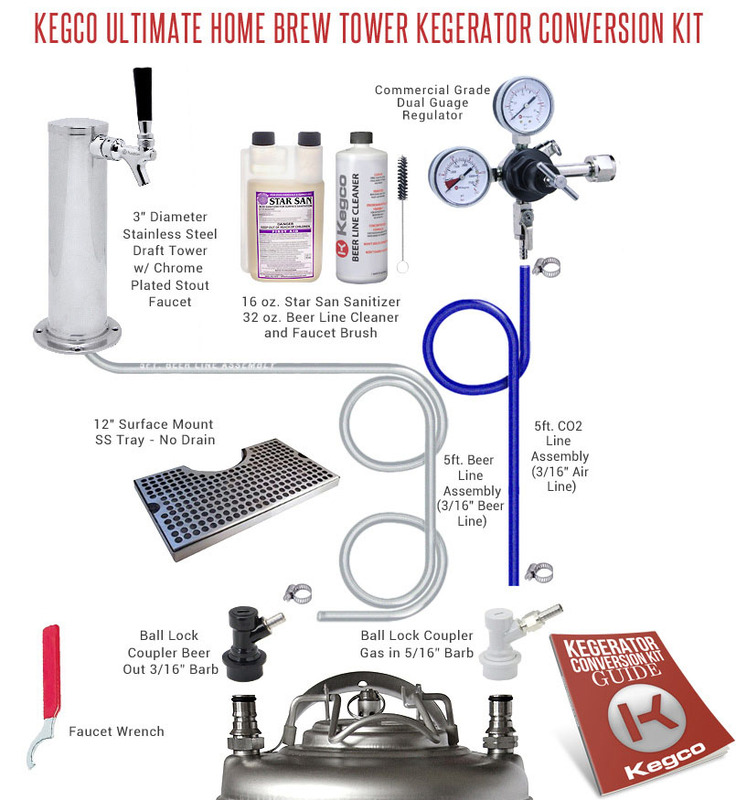 Like all of Kegco's conversion kits, this kit is made up of the highest quality draft beer components, like an NSF approved commercial-grade dual gauge CO2 regulator and ball lock keg couplers. We've even thrown in a stainless steel drip tray, 32 oz. bottle of beer line cleaner, 16 oz. bottle of Star San sanitizer, and a faucet brush for hassle-free cleaning and dispense system maintenance. Every kit comes complete with detailed instructions to guide you through every step of the conversion process, and our knowledgeable product experts are on hand at 1-800-710-9939 for further support.